One year, ten years, 50 years. 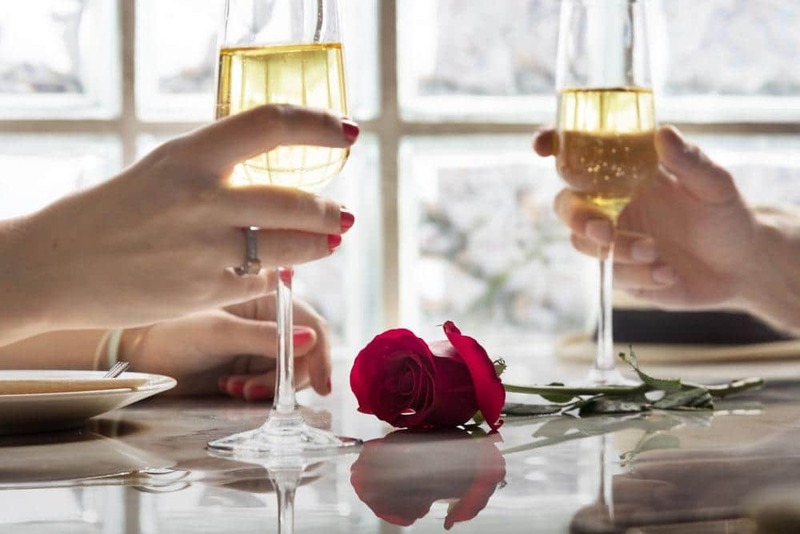 It doesn’t matter the occasion, your anniversary night is a special one to celebrate, and it’s made even better with a limo rental from Rockstarz. We have been in business since 2007 serving couples with a vision for the best in anniversary night celebrations. We roll out the red carpet and get you the royal treatment that you deserve. Check out our stretch limos that will have you riding in style to dinner or the theater of your choice. We have a bevy of different limos, sedans, and SUV’s that you can choose from, and if you are looking for an anniversary party with a bunch of different couples, you may even be interested in renting one of our fantastic party buses. What better place to spend an anniversary than in beautiful Ann Arbor, Michigan. We can take you and your lovely lady to the Chop House or the Gandy Dancer. If you are looking for a bit of adventure, your limo chauffeur for the evening can drive you to Downtown Detroit for a visit to The Whitney, London Chop House, Coach Insignia or Iridescence. Since we reside in Plymouth, we are partial to the Inn at St. John’s, or perhaps a night away at the Royal Park Hotel in Rochester would suit your fancy. Anniversaries are meant to be spent in the lap of luxury, and there is no better night for a limo service rental than your special occasion with your partner. Don’t forget to ask about our Anniversary specials when you call Rockstarz Limousine and Party Bus today at 734-386-6912. Rockstarz Limousine & Party Bus is the premier limo rental company in the Metro Detroit area. We specialize in elegant service with a sophisticated touch. We are customer service driven, and our chauffeurs are expert drivers and listen to your every need. We pride ourselves on being a local business based out of Plymouth, and Erik, our owner, is still an owner/operator after all these years. We are not afraid to get behind the wheel and drive our very important clients, and make sure that you, the bride and groom, get to relive your wedding by celebrating your anniversary years later. We have had the pleasure of driving couples on their 50th wedding anniversary, and get to hear the fabulous stories while riding in our pristine limo vehicles. We serve the greater Metro Detroit region, including Ann Arbor, Plymouth, Livonia, South Lyon, Livonia, Royal Oak, Bloomfield Hills, and many more areas. We like to think that we will travel just about anywhere to provide our great limo service, and we have not strayed from that promise since we came into inception. Whether you live in Waterford Township, Pontiac, Rochester Hills, Royal Oak, Ferndale, Farmington Hills, or anywhere in between, we would love to give you the time of your life with a fantastic Anniversary Limo Rental. Give Rockstarz Limousine & Party Bus a call today at 734-386-6912, or visit our reservations page to inquire about rates and availability. We look forward to being able to serve you!